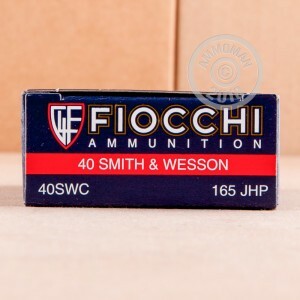 Avid shooters of .40 S&W pistols like M&Ps, Glocks, or XDs will appreciate the low cost and good performance of the ammo in this 1,000 round case from Fiocchi. These cartridges use a jacketed hollow point bullet that will serve well in a self-defense role, yet is inexpensive enough to use cost-effectively as a range load. This load uses a light 165 grain bullet to achieve a slightly higher muzzle velocity of 1,100 feet per second. Each cartridge uses non-corrosive Boxer primers and brass cases. 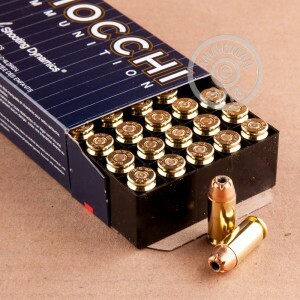 Like other Fiocchi ammo, this product is manufactured in either Lecco, Italy, or Ozark, Missouri. AmmoMan.com will ship this case (and any other order over $99) to your doorstep for free--grab yours today!